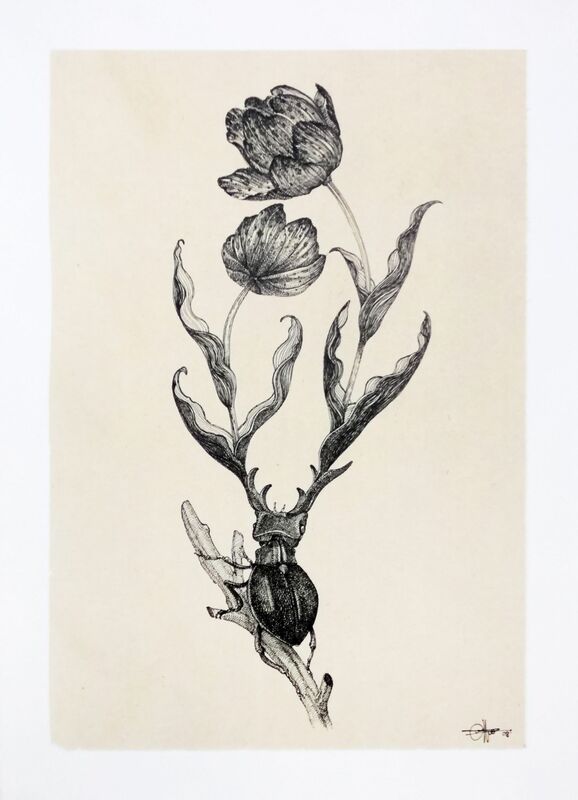 The artwork is a unique china ink drawing on rice paper by London based Italian artist, illustrator and tattoo artist Otto D'Ambra. The artist's poetics presents an holistic view of Nature, in which each being is connected through formal similarities, depected with incredible skill and detail, giving birth to new surreal beings. The artwork is signed on the lower right corner and is already framed.